The pair win in Mallow and Roscommon, while Killian Mooney, Kate Cronin, Eoin Lennon and Nicola Duncan take the titles at the Maurice Mullins events. 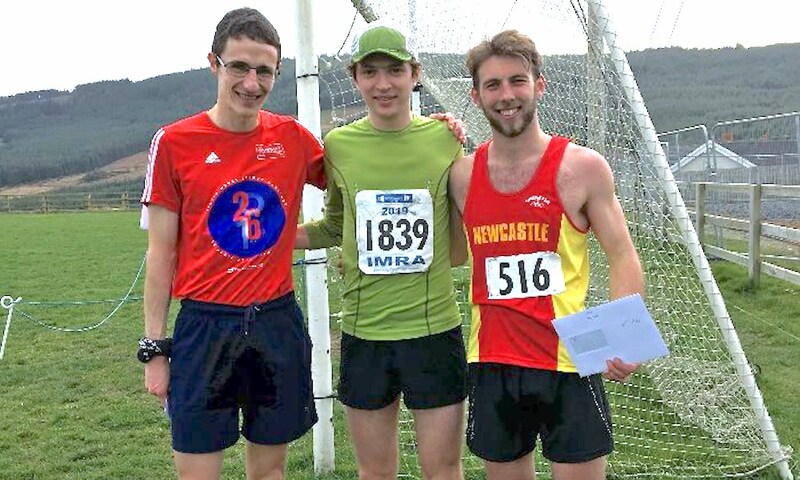 Sergiu Ciobanu of Clonliffe Harriers broke 50 minutes to win the Mallow 10 Mile in 49:21 on Sunday (March 24). Over two minutes behind in 51:28 was second placed Rory O’Connor of North Cork ASC, while third in 51:56 was Paul Moloney of host club Mallow AC. First woman and 16th overall was Aoife Cooke of Youghal AC in 55:17. Linda Byrne of Dundrum South Dublin AC was second in 59:55 and Fiona Santry of East Cork AC third in 60:38. 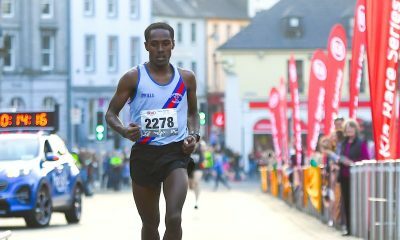 Winners of the Tullamore Harriers 5km on Sunday were Mick Fogarty of Ferbane AC in 15:56 and Nadine Donegan of Tullamore Harriers in 17:43. 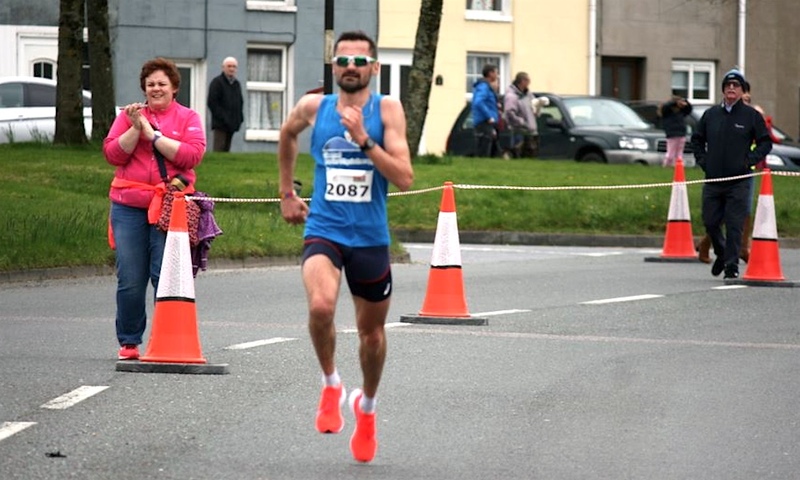 Sean Hehir of Rathfarnham WSAF was in action at the Ros Run Marathon, Half Marathon and 10km in Roscommon on Saturday (March 23), where he won the marathon by some distance in 2:23:23. Hehir’s Rathfarnham clubmate Kevin Donagher won the Clongowes 5km in Co Kildare on the same day. Laura Buckley was first woman in 18:59. At the K Club BHAA 10km held in the leafy roads around Straffan in Co Kildare on Saturday, Colin Maher in 30:10 and Meghan Ryan in 35:05 were the winners with just shy of 500 completing this popular race in the Business Houses calendar. Marathoner Laura Graham of Mourne Runners continued her comeback from injury when she finished first woman at the Larne Half Marathon on Saturday. Graham’s time of 75:46 saw her finish 19 seconds ahead of Gladys Ganiel from North Belfast Harriers, who clocked a time of 76:05. Jessica Craig of North Down AC was third in 79:24. Overall race winner in 69:40 was Vincent McKenna of Acorns AC. Foyle Valley AC’s Gary Slevin was second in 69:56 and John Black of North Belfast Harriers third in 71:01. Over 2,000 completed the race, which is part of the Pure Running Half Marathon Series. 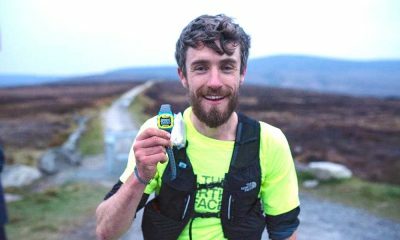 Killian Mooney of Dundrum South Dublin finished over eight minutes clear of the field to win the Maurice Mullins Trail 25km in Co Wicklow on Saturday. Mooney’s finished in 1:40:25; second was Mark Stephens of Newcastle AC in 1:48:34, while third was Tom Lupton of Portlaoise AC in 1:49:20. First woman and 13th overall was Kate Cronin of Raheny Shamrock in 2:04:38. Laura O’Driscoll of Setanta AC was second in 2:11:01 and Deirdre Galvin of Westport AC third in 2:12:46. Winning the 51km ultra race was Eoin Lennon of Carnethy HR in 3:53:00. Martin Lynch of Milford AC was second in 3:52.29 and Brian McFlynn of Newcastle AC third in 4:06.15. Nicola Duncan of Galway City Harriers was first woman in 4:27:20, followed by Angela Speight and Kelly-Anne Speight from Co Fermanagh, who finished together in 4:43.58. A battling performance in the mixed relay proved the highlight of the Irish performances at the performance in SIAB Schools Cross Country International in Santry on Saturday (March 23). Held for the first time at this event, the race consisted of four 1500m laps, with Matthew Lavery and Fiontann Campbell, both from St Malachy’s Belfast, along with Emma Landers of Pobalscoil na Trionoide Youghal and Ava O’Connor Scoil Chriost Ri Portlaoise making up the Irish team. Ireland led at the first change with Scotland second and England third. Those placings remained the same on the second lap, with just three seconds between the teams. On the decisive third lap, Ireland and England pulled away before England took the lead on the final lap. England won in 18:42, with Ireland second in 18:47 and Scotland third in 19:08. Making it a clean sweep of the team titles races was England, who also had individual wins in all four races. In the intermediate boys race, double All Ireland champion Michael Morgan of Summerhill college finished fifth – an improvement on his 11th place of a year earlier. With Scott Fagan of Luttrellstown College 10th, Callum Morgan of St Malachy’s 15th, and Eanna O Bradaigh of Colaiste Eoin 17th, Ireland took the runners-up spot by seven points from Scotland for a second year. English athletes took the top three places, led by Mohamed Ali. Jack McCausland of Belfast Royal Academy had earlier finished fifth in the junior race, where the Irish team finished third. Myles Hewlett of CBS New Ross was 16th and Nicholas Griggs of Cookstown HS 18th. England took seven of the top eight places. Best of the Irish girls was Roisin O’Reilly of Loreto Wexford who finished 11th in the girls inter-race. Holly Brennan of Sacred Heart Drogheda was 14th, Lucy O’Keeffe of St Mary’s Midleton 17th, Cara Laverty of Thornhill College 18th and Hannah O’Keeffe of Loreto Kilkenny 19th with the team finishing third. England’s Beatrice Wood was the race winner. The Irish junior girls finished fourth, led by Catherine Martin of Down HS in 17th place, followed closely by her school mate Kirsti Foster 19th, and Neasa Ni Ainifein of Gaelcholaiste an Chlair 21st. Holly Weedall of England the individual winner. 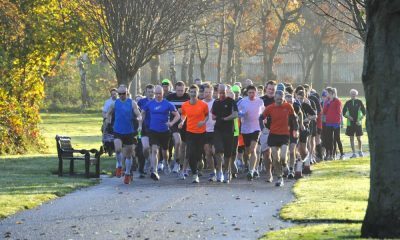 Dunleer AC’s Garry Campbell ran an excellent 14:44 at the St Anne’s parkrun in Dublin to not only record the fastest time across Ireland on Saturday, but also the quickest time ever at Irish parkruns. Kerry Bamber was the quickest woman across Ireland after running a parkrun best 17:51 at the Belfast Victoria event. 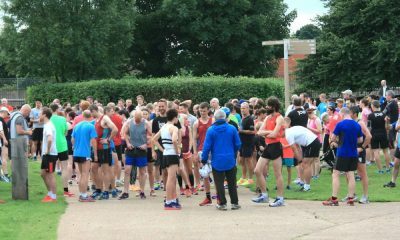 The top runs at parkrun over the weekend can be found here.